innate ability Chiropractic - What is Chiropractic? Chiropractic is the art and science of adjusting the spine and the joints of the body by moving bones with the hands in such a way as to remove nerve interference and restore proper mobility and health. I use the diversified technique when adjusting patients, which is a technique that is adaptable for each individual patient. A mechanical force is put into vertebral joints of the spine and there is actual movement of the vertebrae back into the correct position. Relief can be immediate, and what follows is a decrease in stiffness or muscle spasm and an increase in joint range of motion. Your brain is your command center: it tells your body what to do by way of nerves which travel down your spinal cord into your fingers and toes. 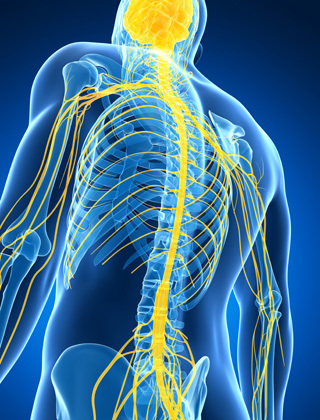 Nerves throughout your body provide information back to your brain about position, sensations and pain. Your spine protects this highway of information as it's sent to and from your brain and body, and any interruption of these signals can cause a traffic jam. The traffic jam prevents your body from working at its optimal level – and can result in lower resistance to disease and can cause an overall loss of health. I pay attention to the nerves that control muscles and the impact nerves have on the mobility of joints and bones associated with them. My adjustments restore the function of the nerves by moving the bones of the spine into proper alignment, removing any interference and clearing the path for the body to heal itself. Chiropractic care can have benefits for everyone. Why is that?